The Kahuna is packed with amenities to suit even our most discriminating customers. For your comfort, the Kahuna is fully air conditioned, has satellite Plasma TV, stereo systems, satellite phone & fax, and hi-speed internet. 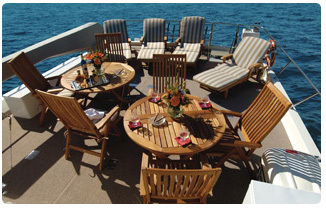 We invite you to tour all the rooms of this magnificent vessel to see all the special things the Kahuna has to offer. 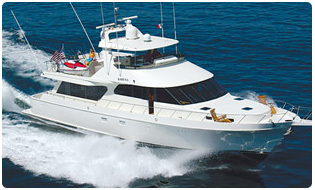 The Kahuna is a fast, roomy and very comfortable 83’ Nordlund. - All Drinks, Complete assortment Beers, Sodas and waters. Half day $ 4,200.00 Dlls. Frull day charter total $ 6,000.00 Dlls.